We supply and fit top class electric blinds that are custom made to fit your windows and doors perfectly. A professional yet friendly team, we always take the time to listen to your design ideas and work with you to find the best solution for your home. We also have experience of working with architects, builders and interior designers to ensure your new electric blinds blend seamlessly with the rest of your property. We supply and fit premium custom made plantation shutter blinds across the South of England. We want to deliver the best products and service possible and we never use ‘high pressure sales tactics’; we prefer to let the quality of our products, installers and customer service, coupled with our experience and competitive pricing, speak for itself. With a large variety of high quality shutter styles in every type imaginable to choose from, we'll work with you to make the windows in your home look simply stunning. The Great Shutter Co. Ltd. The Great Shutter Co. Ltd. is a Winchester based business that offer a wide range of plantation window shutter materials and styles to suite varying budgets across Hampshire. You may have firm ideas of what you want or prefer guidance as to why some materials just make better plantation shutters than others. Shutters don’t need to be a mine field and The Great Shutter Co. will provide free, impartial advice in a concise way to help you find the right solution for your home and budget. ‘Reliable, professional and Innovative manufacturer of quality sheers and accessories for the commercial and luxury residential markets' Add the finishing touches to any design project with Fencasa, we capture your vision and turn it into reality with professional and expert advice, with our exquisite attention to detail being our main priority. We work together with the client, architects and interior designers to guarantee you a flawless finish. We will ensure you are kept in the loop every step of the way, from initial ideas and quotations to the production of your order right through to the final installation. We have many years of experience trading as Net Curtains Direct we have made hundreds of thousands of net/voile sheers shipped world wide! We are now developing a brand new website dedicated to Commercial Projects and our Luxury Residential clients! To ensure they receive first class service from our design consultants available on the phone and via email. Commercial Projects: Every project will be executed to our continued high standards. We will always try to accommodate any budget and even the shortest of deadline can be met, where necessary we will offer multiple fabric choices to ensure your job can be carried out on time and within budget. No matter how big or small your project is from beginning to end, we have in house design specialists who can assist you every step of the way. Luxury Residential: •Luxury Boutique Fabircs •ADO Collection • Designer Fabric Available Luxury sheers for your window. Our range of high-end, quality products are perfect for when you need something special and custom made to dress your window. Our buyers are constantly working hard to source only the finest, unique and special products for our Boutique Collection. Commercial: We are specialists in manufacturing high volumes of made to measure sheers at affordable prices in a timely manner. We will work round the clock to ensure deadlines are met and travel the world to execute your project. We are able to handle huge volumes of custom made sheers, from 1 to 500+ the same care is given no matter how big the order. Installation: Reliable & professional service guaranteed with a personal approach every time. Our team take great pride in their work from the making right through to installing and dressing the final project. We will always be on hand for support before, during and after the completion of your job. 'With over 21 years experience in the Shutters industry, we are the UK's longest serving manufacturer of interior plantation shutters. In business since 1995 and manufacturing our own shutters in West Sussex since early 2001, providing exceptional flexibility and service to our discerning customers. Creating beautiful interior shutter solutions is a passion and throughout West Sussex, Surrey, Hampshire, Berkshire and South London our customers are reaping the rewards. Providing a full in-house design, manufacture, finishing and installation service as well as the finest solutions from around the world HoS offers unique opportunities when it comes to investing in your home. I offer a professional yet relaxed and friendly curtain and interior design service. Realising that it is easier to make these choices in the comfort of your own home, I arrive with a fantastic array of designer fabric books. Time is spent getting to know you – your lifestyle, taste and budget… From a simple linen Roman Blind to more elaborate curtains and pelmets, I will happily give advice and work with you to achieve the perfect look for your home. The complete service includes measuring and designing to the final installation and hanging, and those important finishing touches to complement the room with beautiful throws and bespoke cushions, window seats and headboards. All work is carried out with the utmost care and attention to detail. Chelsea Artisans are a bespoke soft furnishing workroom, which can undertake large projects in conjunction with Interiors designers and residential projects. We offer a complete measuring service, and can offer fabric selections, making up of products and finish with a complete Installation service. A relaxed meeting can always be arranged at our workshops based in Crondall, Farnham, Surrey, where we can discuss fabric choice, design ideas and also talk you through our full making-up-service which includes a full site survey, suppling of fabrics and of course the final dressed fitting. Thomas Sanderson is the UK’s Conservatory Blinds, Window Shutters and Window Blinds specialists. We have over 25 years’ experience in designing, shading and changing homes with 1,000’s of colours and styles to choose from. 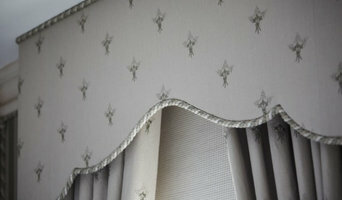 Sartorial Soft Furnishings provides a bespoke curtain, blind and accessory making service from Whiteley in Hampshire. It is a small business specialising in superior quality hand finishing. From a cushion cover to a full room makeover you can be assured that the attention to even the smallest detail makes all the difference. Your curtains and blinds will be lined if appropriate, have mitred corners and be finished with hand stitching to create window treatments that look and feel beautiful. All blinds are supplied with safety devices to ensure that they conform to blind safety legislation. We offer clients a free design consultation and free delivery & hanging service. Clients are welcome to provide their own fabric or make a choice from a selection of various designs and colours. Established in Southampton, Hampshire in 1971 Solent Blinds are one of the leading manufacturers of blinds and curtains on the South Coast. Widely recognised as a highly professional company with particular focus on customer service and innovative approach, we are proud to bring window furnishings of real quality to the market. Our vision is simple - to deliver the best quality soft furnishings to our customers through the highest level of customer service and satisfaction. Welcome to Fabrique Soft Furnishings, Hand made Soft Furnishings, Established for over 28 years, Friendly, Professional Service. What We Do Plantation Shutters Venitian Blinds Hand Made Curtains Roman Blinds Upholstered Pelmets Pole Sets Tracking Roller Blinds Bay Window Specialist Art Installation We have worked for some wonderful clients and Designers alike, Gallery creating beautiful bespoke pelmets amongst many other products such as contemporary headboards, tracking and automation solutions. We offer a full range of shutters in many forms and styles, Woodslat Ventetian blinds and Roller blinds. Fabrique Soft Furnishings has a wealth of knowledge when it comes to your requirements. With over 28 years of experience within the trade, we have seen the many and varied situations for creating soft furnishing solutions. At Fabrique we will work very hard to ensure our client feels taken care of and their expectations are matched and exceeded by us. Friendly Service Here at Fabrique Soft Furnishing we are always looking at ways to improve our skill base, so whether it's a really tricky window or it's something entirely new you want we have the creativity to match, with our wealth of experience you'll be in capable hands. Wooden Plantation Shutters are becoming a more fashionable alternative to blinds and curtains and the DIY market is also becoming more popular. Here at Wooden Shutters Direct we have devised detailed measuring and fitting guides combined with our easy ordering system to save you money by fitting them yourself. Curtain makers, retailers and designers in Portsmouth, Hampshire can work wonders with pieces of fabric, while fitting blinds or shutters can be tricky to do yourself, so it’s definitely a wise idea to hire a window dressing professional in Portsmouth, Hampshire who can design, make and/or fit bespoke blinds, curtains or shutters for you. 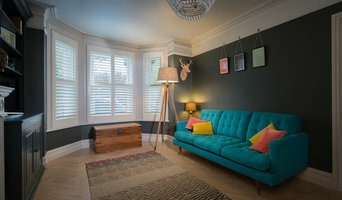 Whether you want sleek roller blinds for your home office, roman blinds for your kitchen, venetian blinds to smarten up your living room, plantation shutters for your bay windows or delicate voile curtains for the bedroom, there will be Portsmouth, Hampshire curtain makers, blind fitters or shutter company to help you with your ideas on Houzz. What does a window dressing professional do? A curtains, blinds or shutters company in Portsmouth, Hampshire will first be able to advise you on the style of window dressing that will work with your windows and rooms. If you have an idea or design in mind for your window dressing, then discuss this with any potential experts, such as curtain makers in Portsmouth, Hampshire, to see if your design and style is possible. You will need to work closely with them if you are planning on having custom curtains, bespoke blinds or shutters created. Curtain makers will be able to turn most fabrics into curtains, so if you’ve found a pattern or fabric you like already, present this to your Portsmouth, Hampshire curtain makers and they could be able to turn it into curtains for you. Even when clients don’t have certain fabrics in mind, curtain makers can suggest fabrics based on your style and the rest of the room’s design. They can pick out the right weight, thickness, length and pattern that would suit your room. Curtain retailers in Portsmouth, Hampshire will offer a huge range of readymade curtains, or curtains that can be adjusted or made to order. Contact Portsmouth, Hampshire curtain retailers if you’d prefer to choose from a large selection of ready-to-go curtains; whether they are high-end designer curtains or just plain white curtains; rather than waiting for some bespoke designs from a curtain maker that may take a bit longer. You may find that curtain makers in Portsmouth, Hampshire also offer a stock of ready-to-go curtains, too, but always double check with the professional first. Once you’ve decided on a design, curtain makers, blind fitters and shutter professionals will usually measure your windows or doors to ensure a good fit. If you are having blinds or shutters made then it will probably be best to have them professionally installed, too. Blind fitters and shutter companies should offer this service with their products as blinds and shutters need to be firmly fixed to the windows; something that most homeowners don't know how to do themselves. Although roller blinds and Roman blinds can be fairly simple, vertical blinds and Venetian blinds can be a bit more complex, and if you want remote controlled blinds that operate with the touch of the button, then you definitely need to call in the Portsmouth, Hampshire blind fitters. Plantation shutters are substantial window dressings and need careful measurements and installation, so it’s really best to leave the measuring, design, manufacture and installation to a professional Portsmouth, Hampshire shutter company. 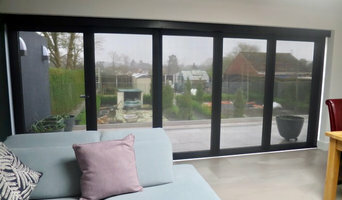 Blind fitters, shutter companies and curtain makers in Portsmouth, Hampshire should also check the insulation of your chosen window dressing and make sure there are no potential hazards once fitted. Finally, they should confirm with you that your curtains, blinds or shutters are functioning as you’d like them to before finishing the job. A window dressing professional might work closely with an interior designer or other professional. Here are some related professionals and vendors to complement the work of curtains, blinds & shutters: Windows & Glazing, Interior Designers. What should I ask Portsmouth, Hampshire curtain makers, blind fitters and shutter professionals? How long have you been a curtain maker, blind fitter or shutter professional? May I see examples of previous jobs you’ve done? Who exactly will be working on the project? Can you provide me with references or testimonials from previous clients? What is your estimated cost for this job and what does that include? Where do you source your materials? Do you work with (other) blinds, shutters or curtain retailers? When will this job be done and how long will it take? What happens when if unexpected costs mean my budget is exceeded? Do I need to provide you with anything? Do you have any concerns regarding this project? Find curtain makers, blind fitters and shutter professionals on Houzz. Narrow your search in the Professionals section of the website to Portsmouth, Hampshire blind, shutter or curtain maker professionals. 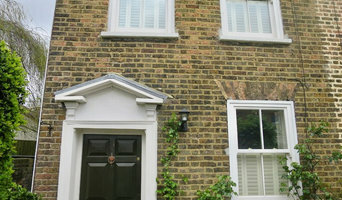 You can also look through photos to find examples of Portsmouth, Hampshire window dressings that you like, then contact the curtain retailers, blind fitters, shutter professionals or curtain makers in Portsmouth, Hampshire who worked on them.